SAP HANA is one of the most notable technology innovations in many years, and nearly all SAP products introduced subsequent to SAP HANA have the capabilities to integrate with the platform. Rather than being a conventional database, SAP HANA is an in-memory data platform that deploys either on-site or in the cloud. The platform enables you to accelerate your business processes while gaining greater business intelligence. The highly sophisticated capabilities and innovations operate your company much more efficiently in your IT environment. When the platform is implemented correctly, SAP HANA has proven itself to deliver greater results in analytic intelligence, performance, data processing, and better ROI with faster time-to-value. But HANA migration isn't ever quite simple. 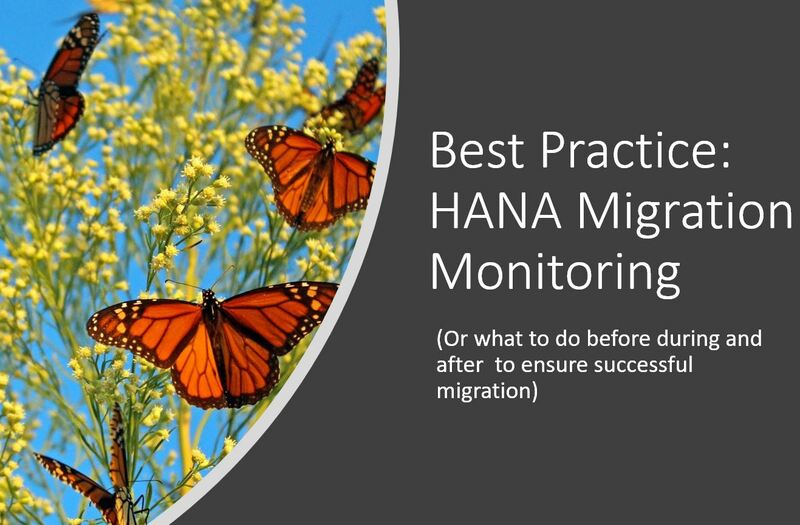 Watch this webinar where we provide tips and discuss the steps companies need to take before, during and after HANA migration to ensure successful and measurable process. Learn how to measure the results of a migration, benchmarking before and after important KPIs.